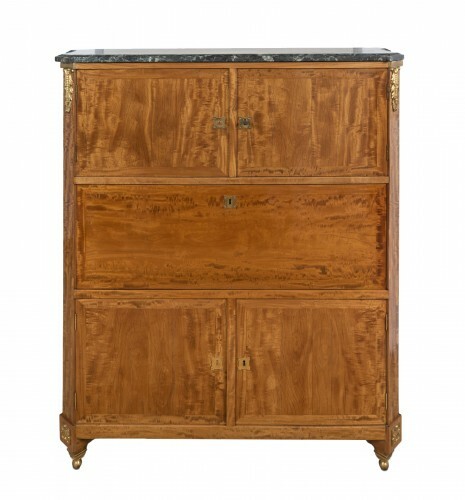 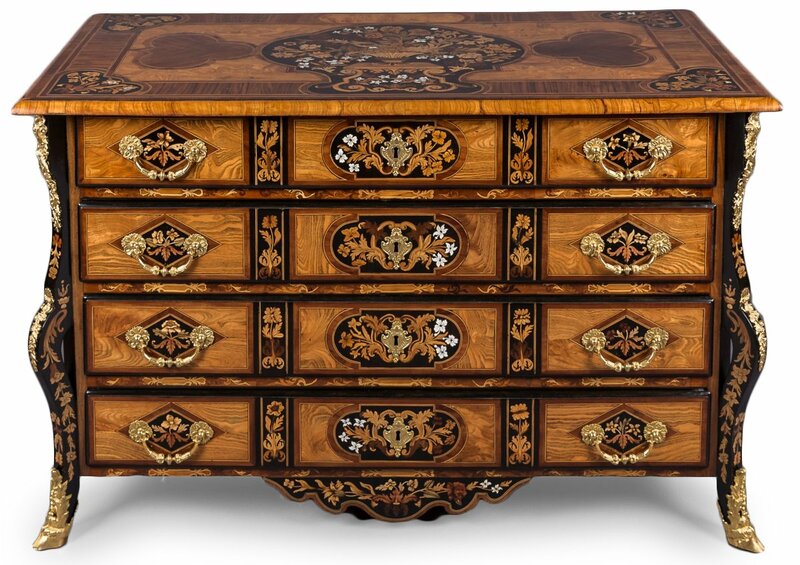 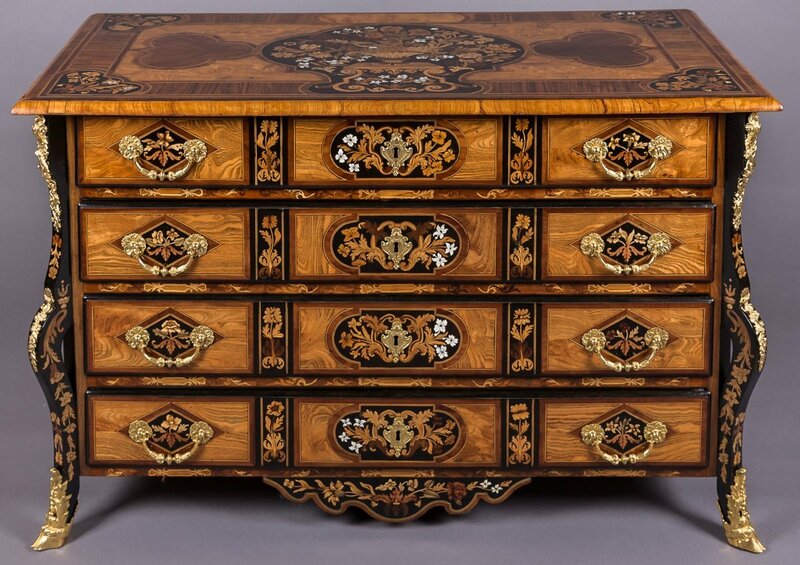 Four-row commode with floral inlay decoration, butterflies, birds, ivory jasmine flowers. 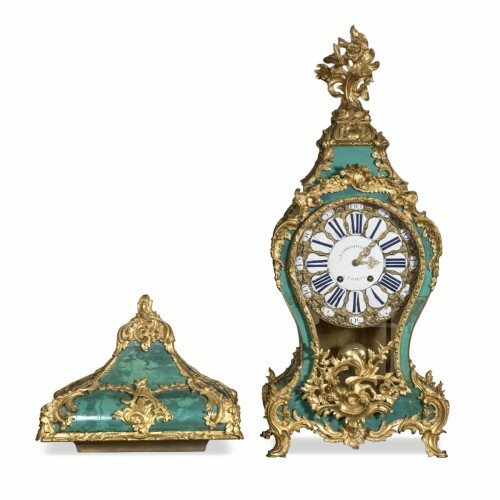 Louis XIV period around 1700. 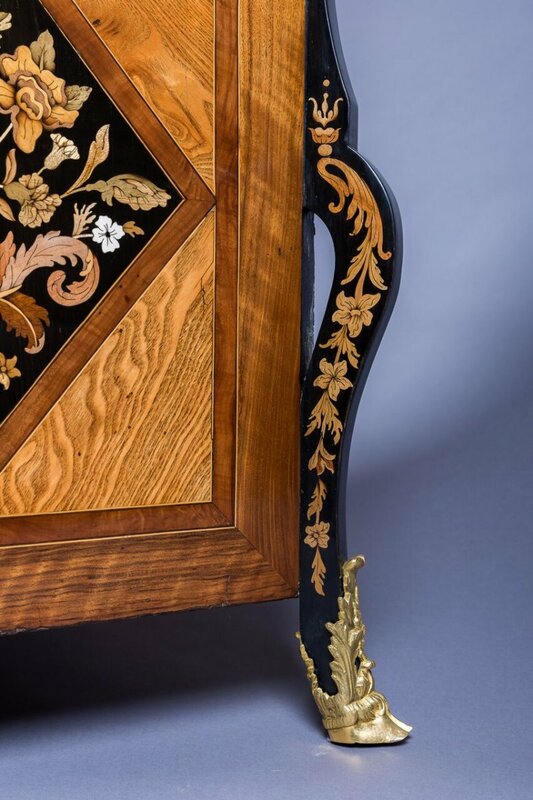 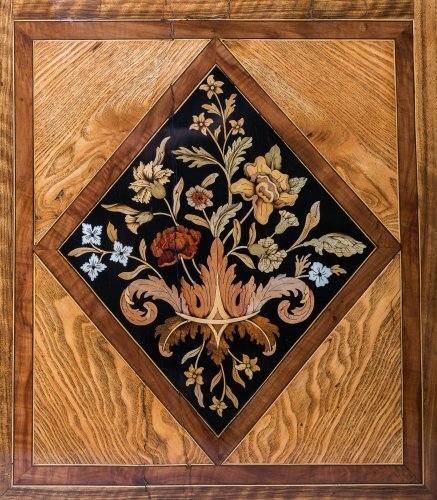 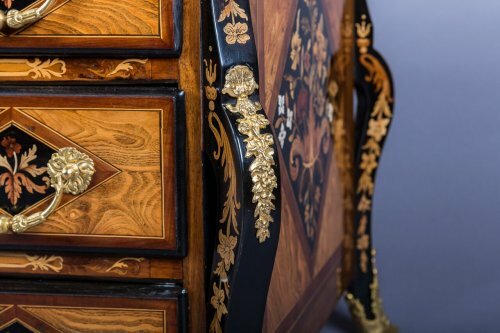 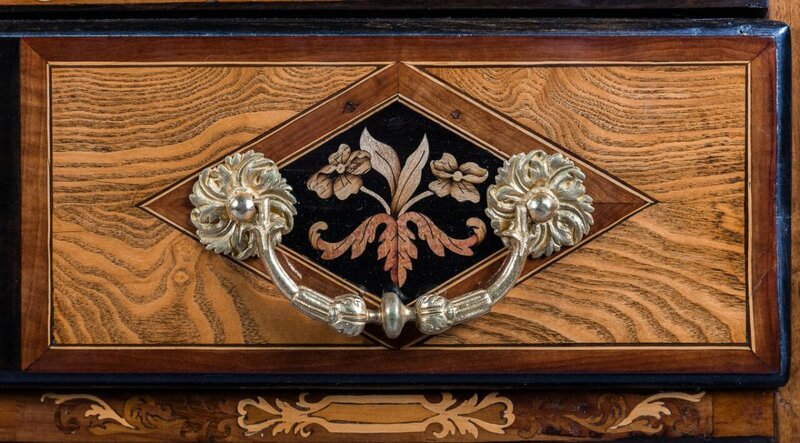 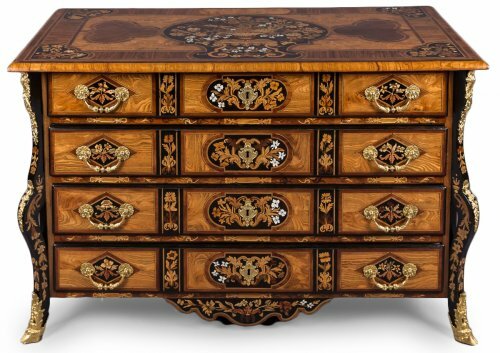 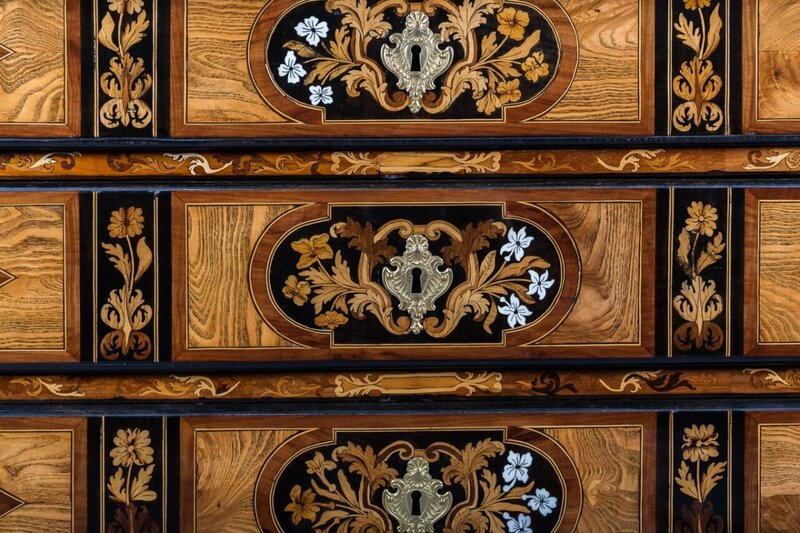 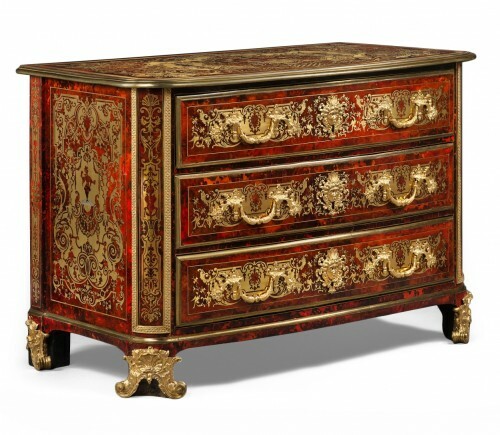 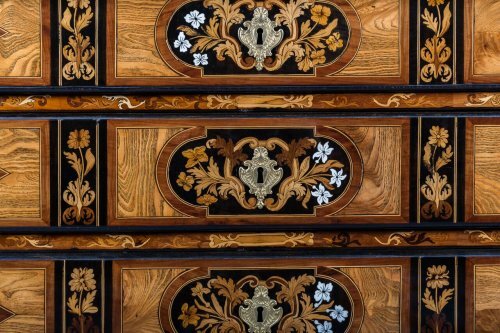 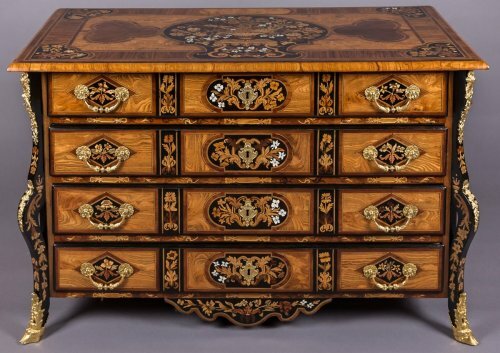 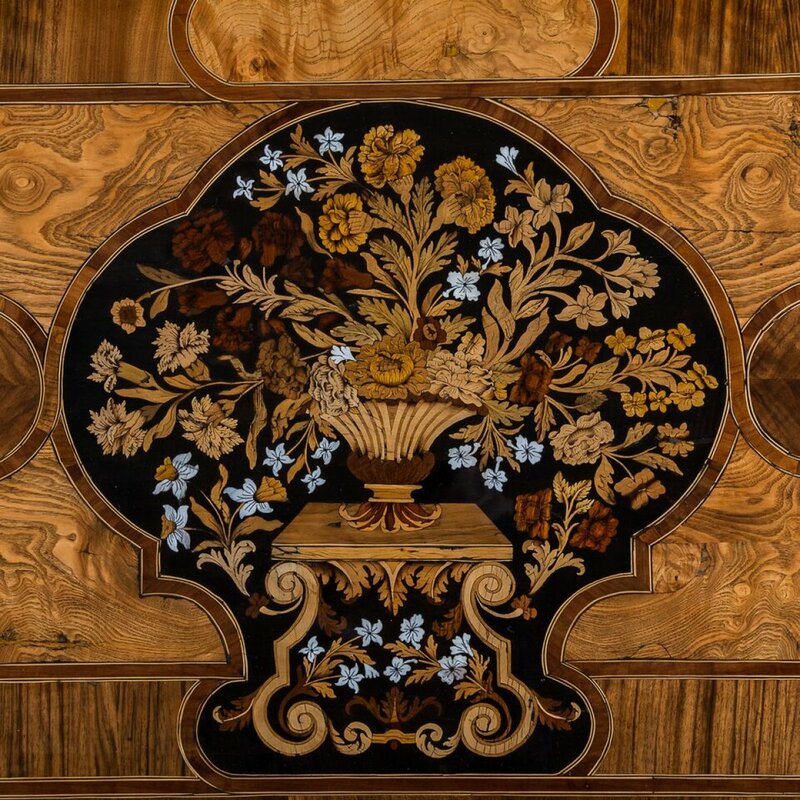 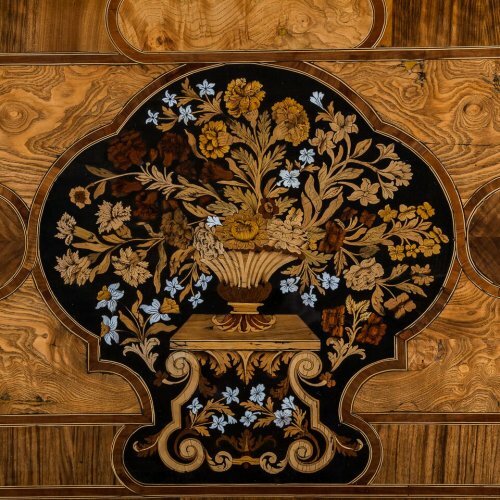 It has a sumptuous floral inlaid marquetry called "jasmine" composed of different species of wood, sycamore, walnut, ash, olive and pear tinted. 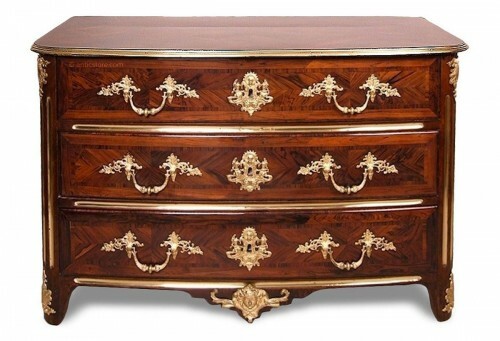 The turn of the plateau is in olive wood. 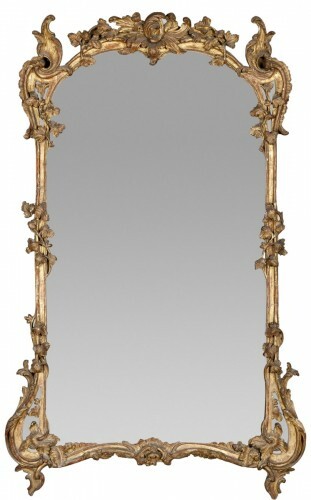 Adorned with flowered basins, horns of plenty, acanthus foliage and branches.